Lightroom has become a popular choice for amateurs, enthusiasts and pro’s who want an all-in-one software package to edit and process images (specifically Raw files) quickly and with excellent results. It’s best summed up as a streamlined version of Photoshop with tools focused towards processing images rather than heavy manipulation. This asks the question though: does it make a better one-off buy for the majority of users compared to Photoshop, which is now only available to rent on a month-by-month basis through Adobe’s Creative Cloud? 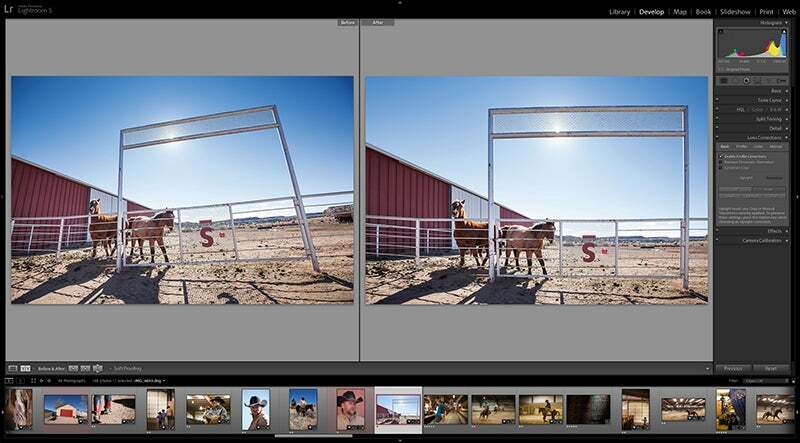 We were impressed by the features offered in Lightroom 4 and Adobe has managed to go one better by introducing some intuitive features that are bound to receive a warm reception. The workspace is split into the same seven modules as before and although no major changes have been carried out in the Library module (the area where images are rated, organised and exported) many of the new features have been introduced to the Develop module, where global and localised adjustments are carried out in a non-destructive way. 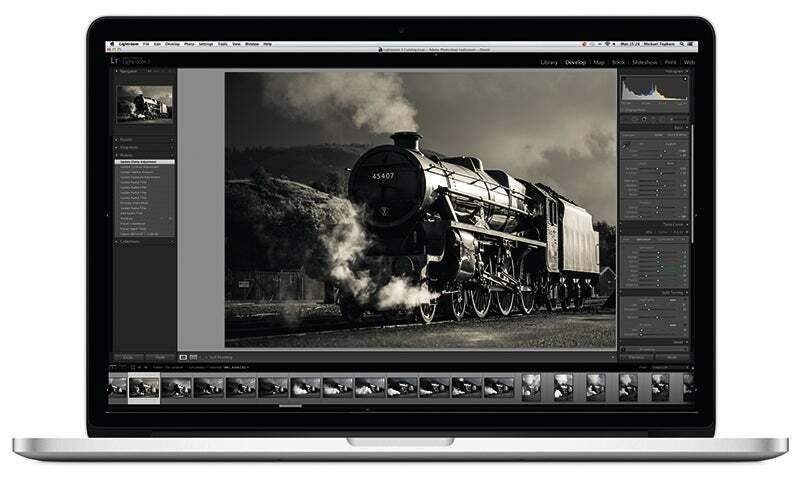 The most significant development is the introduction of Smart Previews – a new function tailored for photographers who’d like to edit shots on the move without overfilling the storage capacity on a portable device, such as a laptop. The way it works is that smaller Smart Preview image files are generated as they’re imported. When you become disconnected from your main hard drive where original files are stored, you’re given the freedom to edit any Smart Previews in the same way you normally would, and it’s these changes that can then be applied back to the full-size originals after reconnecting the portable device to the hard drive. 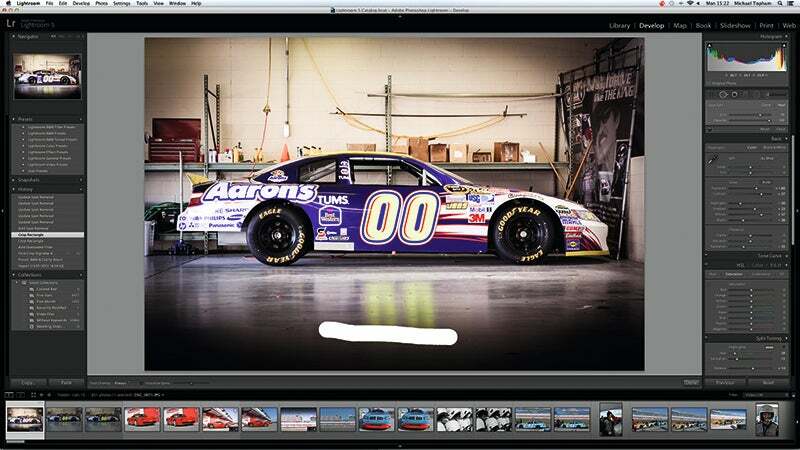 This simple but effective process will play a huge part in speeding up a busy photographer’s workflow and storage demands. Another new feature is the Advanced healing brush – a tool intended to offer more control and flexibility when cloning. Unlike circular healing tools, it’s now much easier to remove irregular imperfections in an image by simply brushing over the unwanted object. Adobe’s Content-Aware technology studies the best pixels to use for replacement, or there’s the option to sample the pixels if you’d prefer. The Advanced Healing Brush lets you paint over large distractions to remove them easily. There’s the choice of using the pixels that the software thinks are best for replacement or you have the choice of selecting the area of pixels you want it to use. 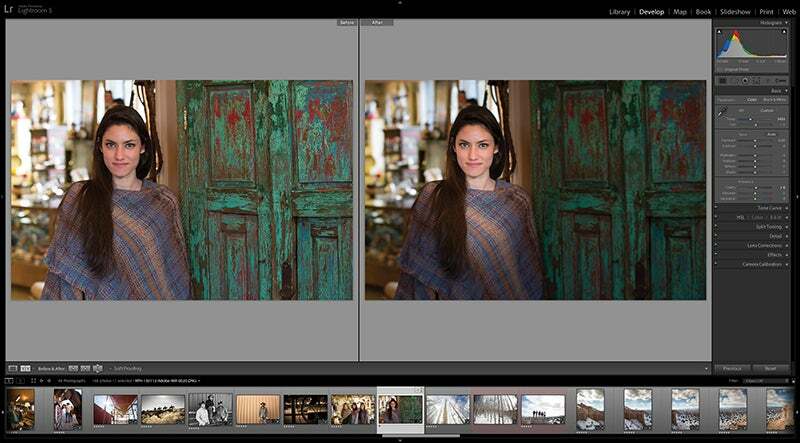 There’s also a new Upright tool to correct images taken askew. Although this could be done using the crop tool, the Upright tool is intended to speed up the process and straighten images with a single click after analysing the horizontal and vertical lines within an image. The new Radial Gradient tool is also well received and improves on the Post-Crop Vignetting function. Unlike Lightroom 4, you can now create off-centre vignettes around a subject to draw your viewers’ eyes to the heart of the image, with the option to also create multiple vignettes within a single image if this should be desired. Moving into the Book module (the dedicated area that’s used to create Photobooks through the company Blurb), there’s now the option to modify templates rather than relying on set layouts. In the Slideshow module, HD video can also now be merged with images and music, with options to trim video clips and extract still images from video footage just like Lightroom 4. The Book module has been modified and now allows you to adjust templates by changing the size of images that appear on the page. There’s still no option to create your own templates from scratch – a feature we’d like to see in a future release. The design of the interface is unchanged with the exception of the new options and features appearing in their respective modules. The clean, uncluttered arrangement of thumbnails, options and adjustments is sublime and the dark grey interface with a light grey tone in the centre gives it a modern appearance without feeling daunting for beginners. In use, we experienced no teething troubles with the new features when running it on a 3.2GHz Intel Core i3 iMac, but we did pick up on a couple of other minor issues. Low-resolution files didn’t seem to retain the sharpening and noise reduction adjustments we’d applied after they’d been exported, and the files we had selected in the grid view weren’t the same as those selected in the filmstrip. Adobe stressed that the filmstrip selection of images is the correct selection to go by and promises that a future update (expected as this issue went to press) will address these annoying grid selection and exporting bugs. The program otherwise ran smoothly with no infuriating delays. The Advanced Healing Brush makes it a lot easier to achieve flawless cloning results when attempting to remove larger imperfections, where previously images may have had to be worked on in Photoshop. 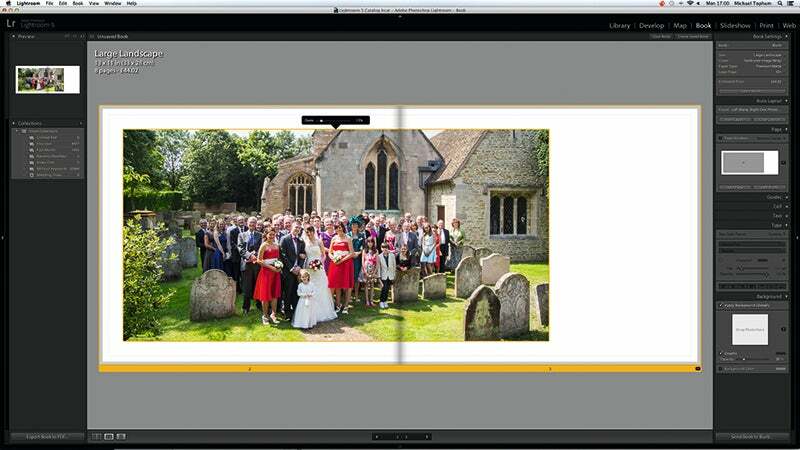 One area that hasn’t been improved in Lightroom 5 is the Preset list. In a future version we’d like an even longer list of creative and artistic presets that could be applied with a single click. One example could be a tilt/shift effect or maybe artistic and distressed border edge presets. We know Adobe already has some of this functionality within Photoshop Elements, so maybe it won’t be long before Lightroom adopts it too? 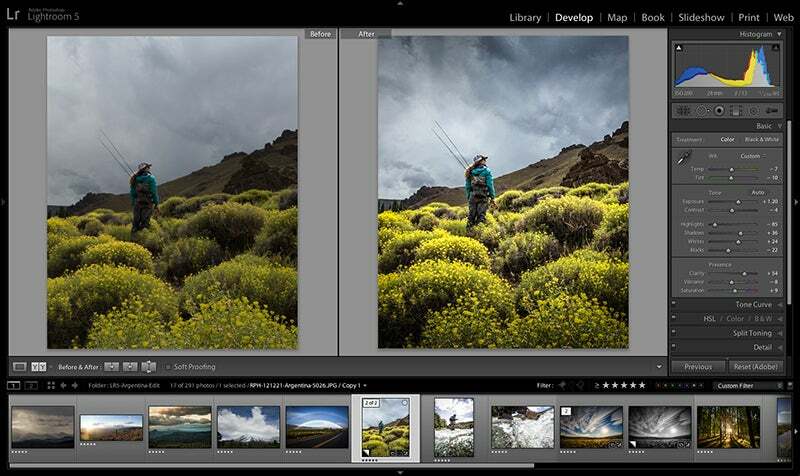 Although we wouldn’t say Lightroom 5 is a huge step up from Lightroom 4, the new features it offers will appeal to a wide audience, especially those who’d like to take advantage of Smart Preview editing on the move. The Radial Gradient Filter is one of our favourite new features and offers superb vignetting control, while other improvements such as altering the size of images when arranging a photobook add up to make it a better all-round package. It’s compatible with most of the latest Raw files produced by the latest cameras and makes a great choice if you’ve owned Photoshop but are put off by upgrading to Adobe’s new pay-monthly pricing plan. 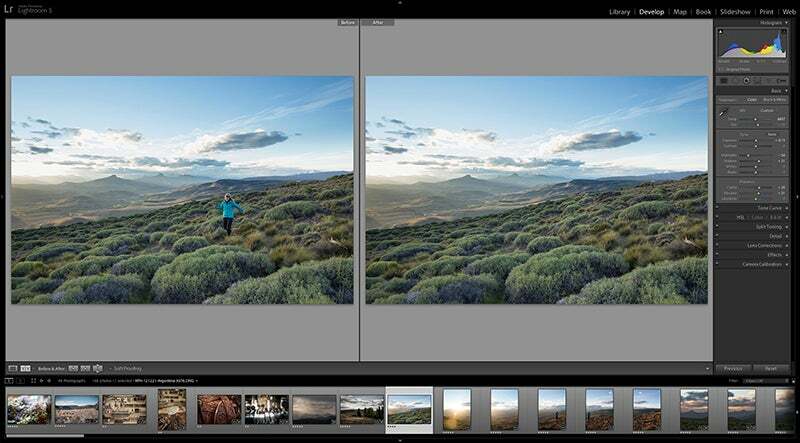 It’s unknown for how long Lightroom will escape the Creative Cloud subscription service on a permanent basis, so it’s worth buying as a one-off while you can, and revert to using an older version of Photoshop for more complex imaging tasks. For organising, editing and outputting images, there’s no other software that comes close to offering what Lightroom 5 does for £102. It’s great to use and has the potential to transform your editing for the better. 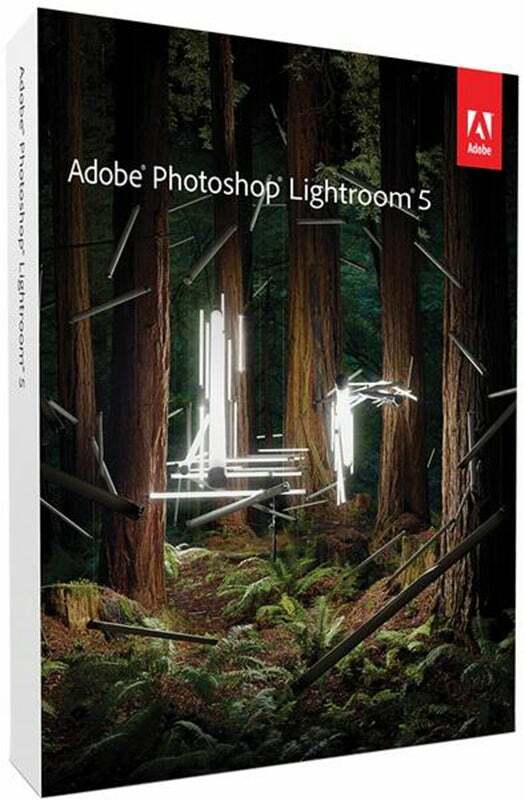 Any users of Lightroom 1, 2, 3 or 4 (education editions included) are eligible to upgrade to Lightroom 5 at reduced price of £58 – a saving of £44.